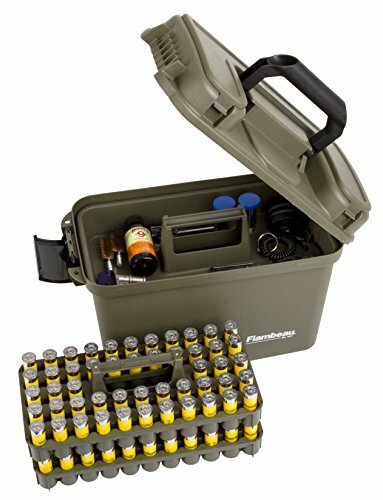 Keep all your shotshells organized in this 14 inch ammo can. With two of our new shotshell trays, you can make accessible, but easily organize up to 100 rounds of 12ga or 20ga shells. The top tray is a generic storage tray, perfect for tools, choke tubes and cleaning supplies. The oversized handle and latch make transporting this box to and from the range very easy.